At this time (August 2016) all copies of the Birds of Georgian Bay book have sold out from the Wye Marsh store. You may still be able to find copies at: Parry Sound Books, Pennisula Pharmacy (Lion's Head) and MEC Barrie. All proceeds from the sale of this publication have been used in the work of the Friends of Wye Marsh in operating and maintaining the Wye Marsh Wildlife Centre and its nature interpretation programs. 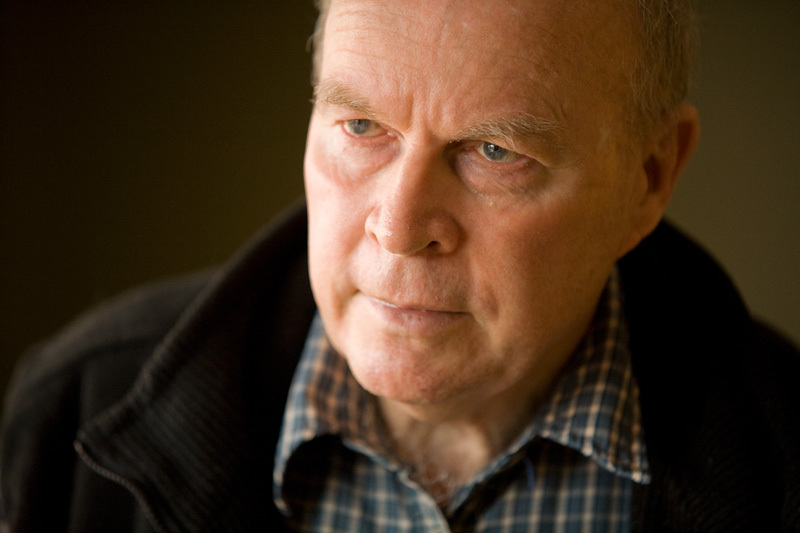 The Birds of Georgian Bay book would not have been possible without the knowledge, devotion and generosity of Bob Whittam who donated the manuscript for this book. The Friends of Wye Marsh would also like to recognize the generosity of our community in raising funds to allow for the publication of this book. The Birds of Georgian Bay - Sharing the Joy of Birding is a beautifully illustrated 240-page hardcover book that explores and celebrates the diverse bird population of this popular region. This book appeals to birdwatchers, those just beginning to take up bird watching or anyone who is simply interested in birds. 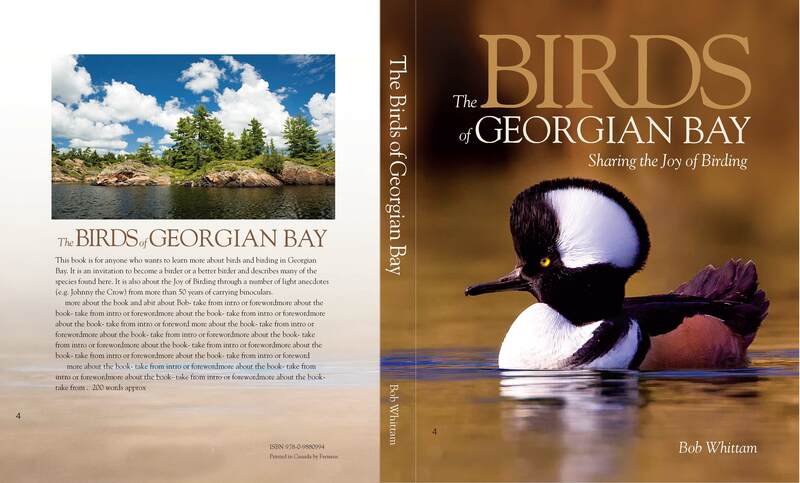 The Birds of Georgian Bay provides insight into the birds of this famous vacation area, from Egrets to Eagles and from Kingbirds to Catbirds. It is also about the Joy of Birding, a collection of anecdotes from more than 50 years carrying binoculars and adventures while watching birds. 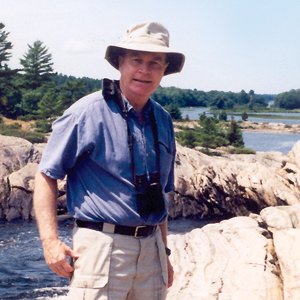 The Joy of Birding comprises 15 fascinating anecdotes in which Bob Whittam shares personal highlights from his lifetime of birding, including one featuring former Prime Minister of Canada, Jean Chrétien. These captivating stories are interspersed with the rich illustrations, photographs, sidebars, and thoughtful descriptions that make this book a delight to read. The book covers most, if not all, information of the bay’s birds from simple identification and habitat, as well as providing easy to understand science on the families of birds, and the status of vulnerable species. Also included are compelling stories of birds now recovering from near disappearance. Other sections invite readers to become citizen scientists. Citizen scientists have proven to be very helpful in assisting ornithologists and other scientists in learning more about key species and their habitat. The book also identifies best areas for bird watching in the Georgian Bay area as well as National, Provincial, and other parks and places such as the Wye Marsh Wildlife Centre. These areas often provide interpreters to help you. There is also a list of the birds of the bay and information about Nature groups. Bob Whittam has had a lifelong interest in birds. He has worked as Warden at the Long Point Bird Observatory on Lake Erie, as a Naturalist with Parks Canada and the Ontario Ministry of Natural Resources and as a biologist with the Royal Ontario Museum and the Canadian Wildlife Service. For 25 years he was the Executive Director of the Wye Marsh Wildlife Centre and he started the Friends of Wye Marsh, a not for profit group which took over the operation of the centre in 1985 after poorly planned government cutbacks had forced its closure the previous year. Today, the Wye Marsh Wildlife Centre is still operated by the Friends of Wye Marsh and is the only nature interpretation program of its size in Canada operated entirely by a cooperating association. Bob was always answering questions about natural history and especially about birds and so decided to write this book. For more than 25 years he ran the Breeding Bird Survey for Byng Inlet and has participated in the Ontario Breeding Bird Atlas, the Forest Bird Monitoring Program, the Ontario Nocturnal Owl Survey and other avian monitoring programs. He has a degree in Biology from York University and a degree in Avian Ecology from Bishops’ University in Lennoxville QC.